After a long hiatus, Roll-Up is back in action. 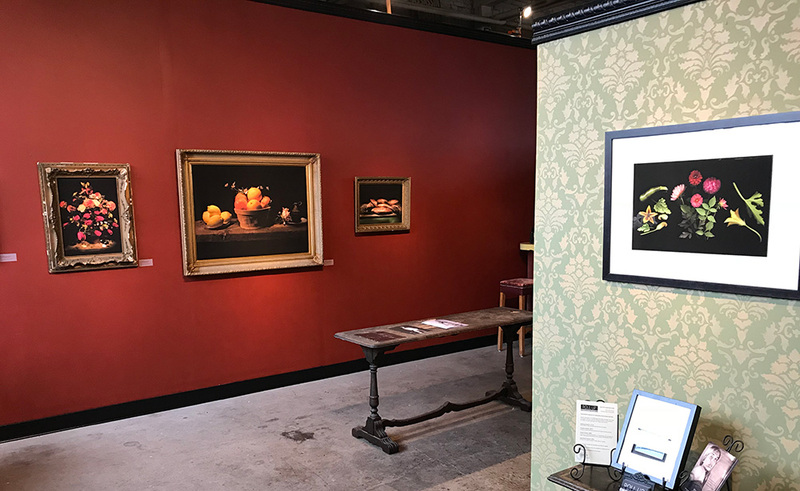 We’ve reworked the gallery for a brand new, old-world look and we’re featuring an exhibit of new and newly presented bodies of work by Anna Daedalus, Emergent Florae, and Kerry Davis, Objects Immobiles. 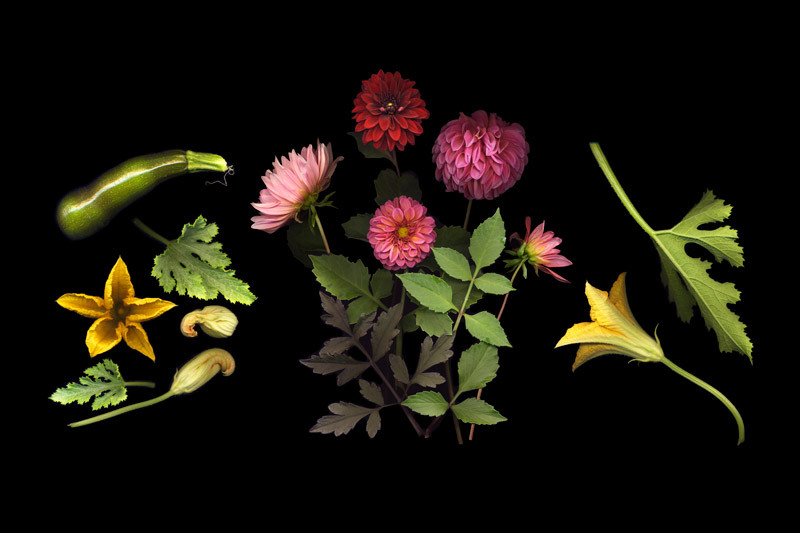 These ikebana are composed on a scanner, resulting in botanical images with a shallow depth of field. 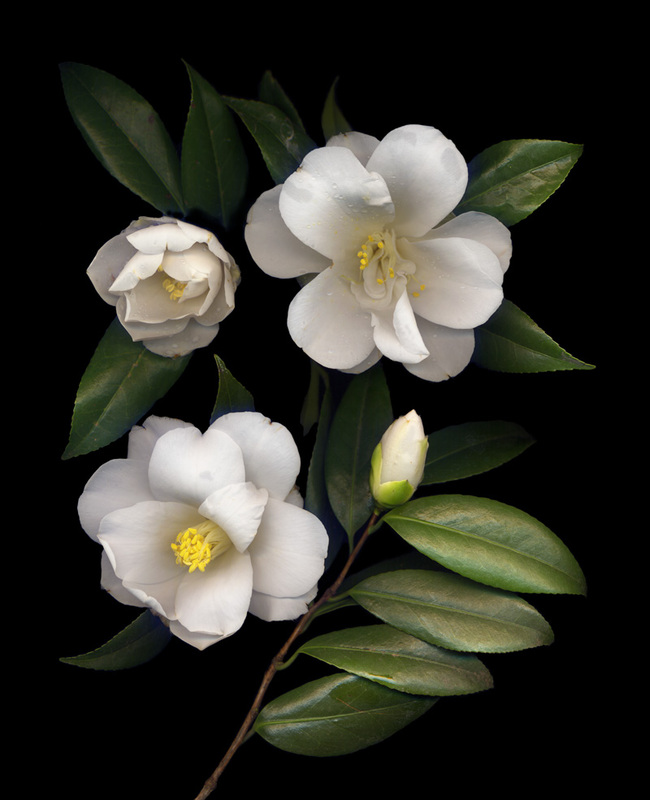 They are homages to impermanence and the beauty in the shadows of which Tanizaki writes. 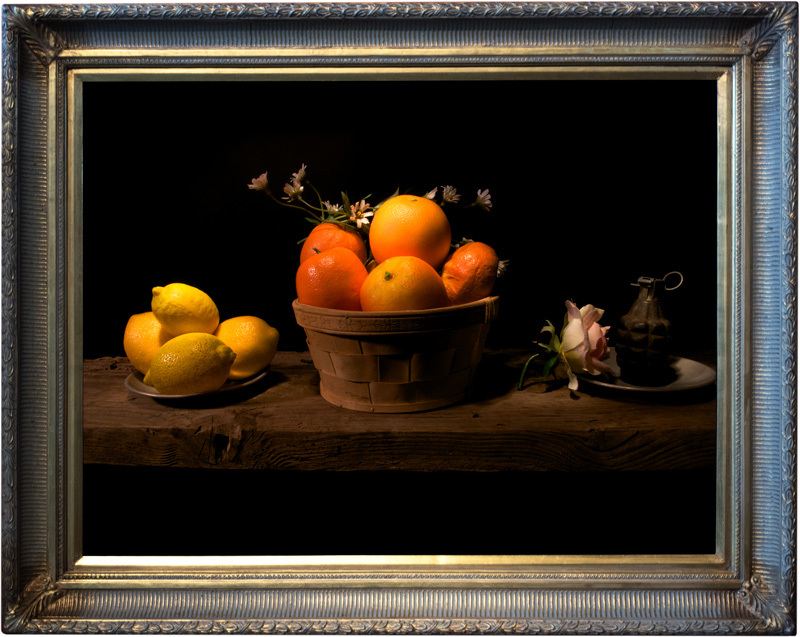 Marigolds, 22×17″ Archival pigment print, $300 framed, $100 unframed. 8.5×11″ print $25. 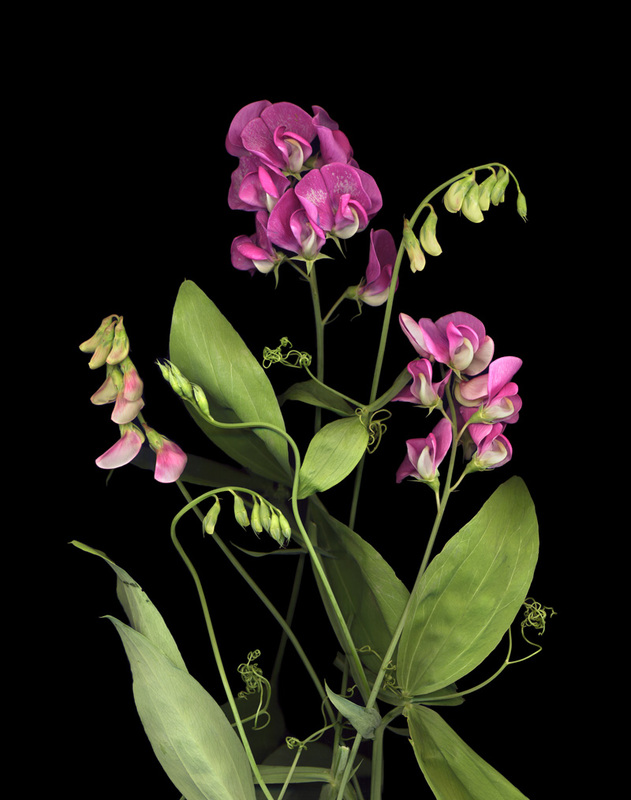 The series employs digital photography to emulate a genre that was once considered the lowest form of expression in the hierarchy of painting but that has subsequently become highly regarded as both an artistic commentary and an elegant socio-historical document. 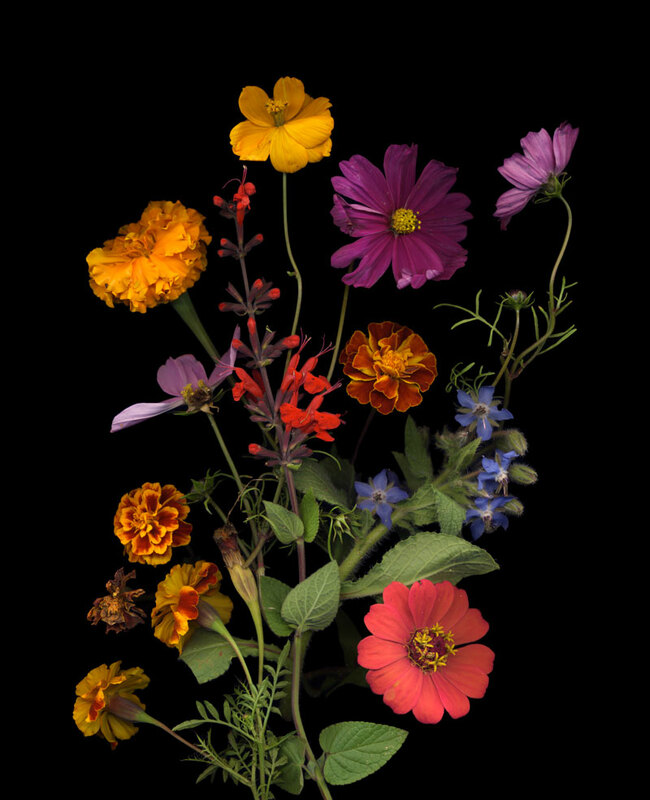 Davis has attempted to remain true to the spirit of this genre as he utilizes new technology to not only recreate the images, but to also add contemporary objects to the visual narrative and new cultural references within each composition. 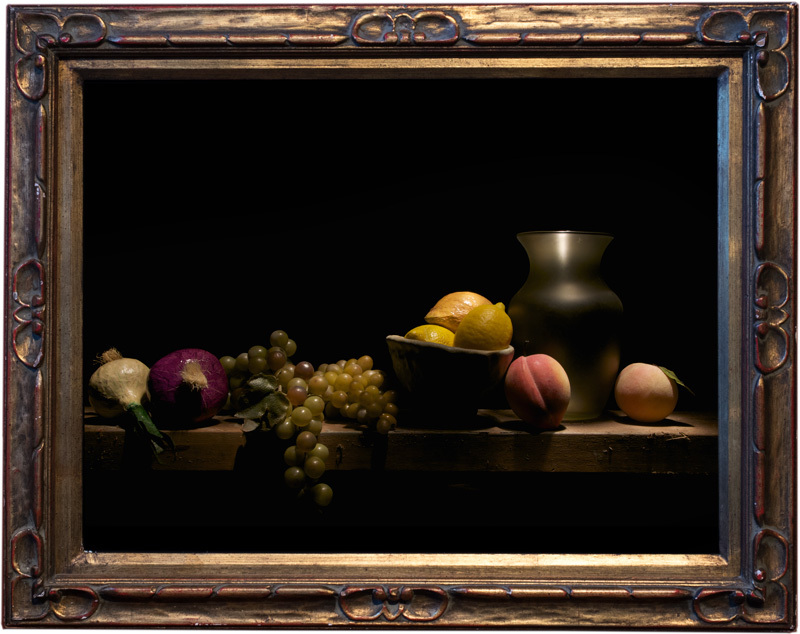 One of the many notable aspects of still life paintings is the effect of light and color which represent the temporality, variability and chance of daily experiences. 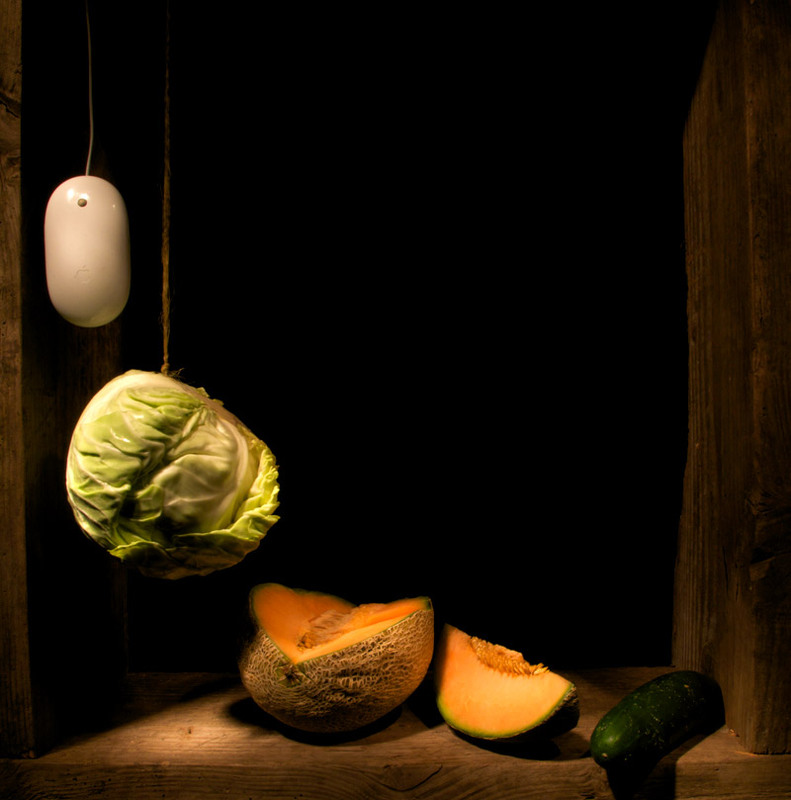 Interestingly, digital photography and devices add a literally new light into the transitory illusion of the genre of still life art. 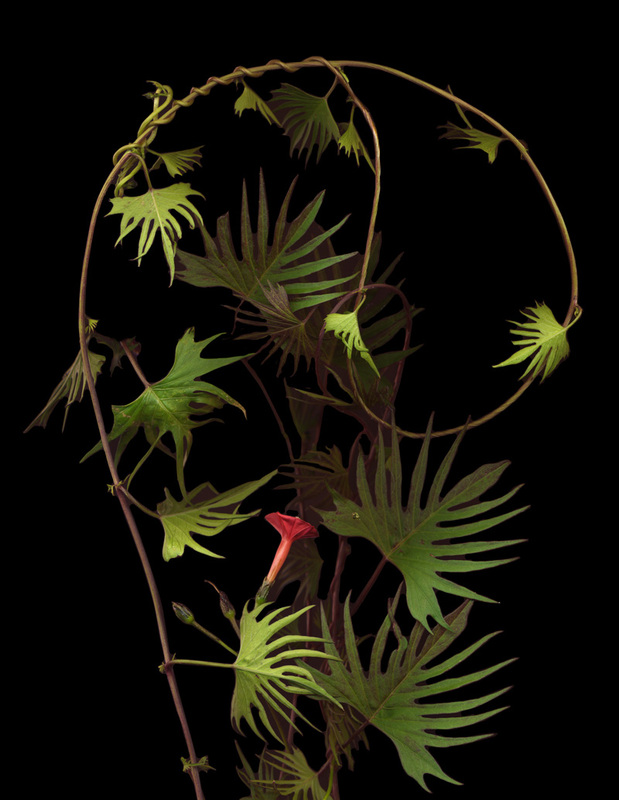 The challenge was to incorporate this new light and vision into the venerable tradition while maintaining the authenticity and brilliance that energizes and illuminates the objects immobiles. 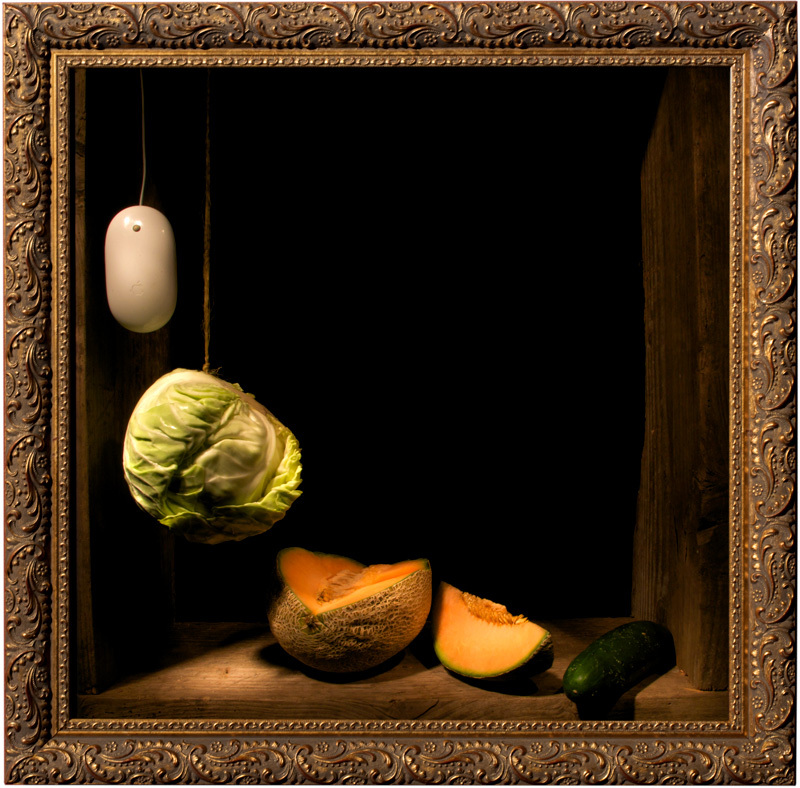 Mouse, Cabbage, Melon and Cucumber, 23×23″ Framed print on canvas, $500. 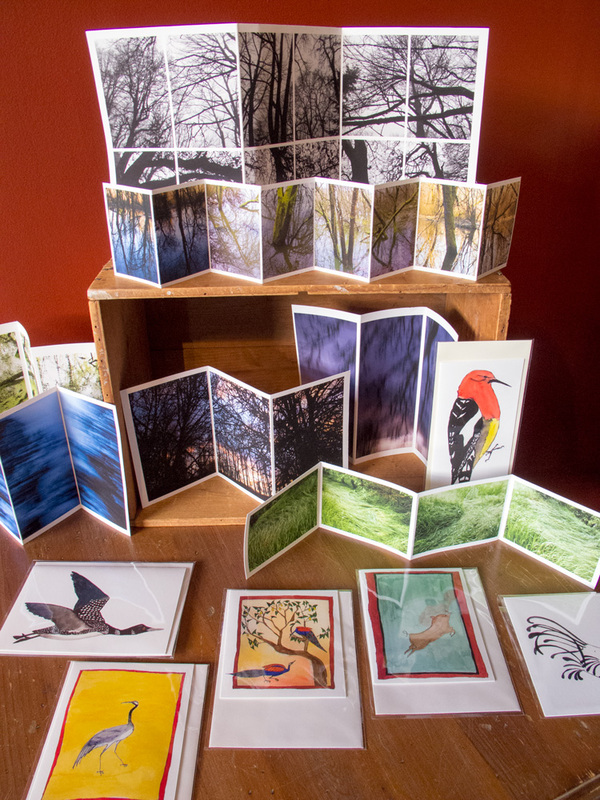 8.5×11″ print $25. 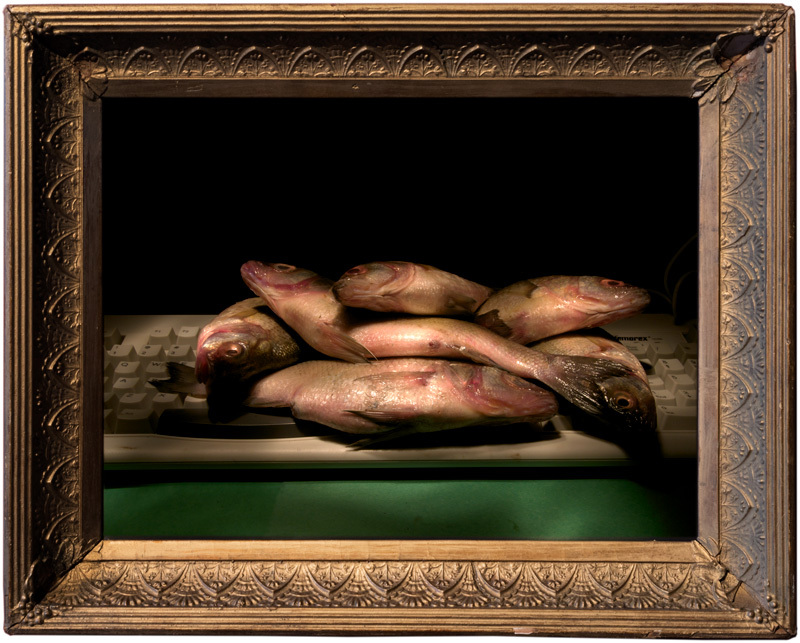 Still Life with Fish and Keyboard, 20×25″ Framed print on canvas, $500. 8.5×11″ print $25. 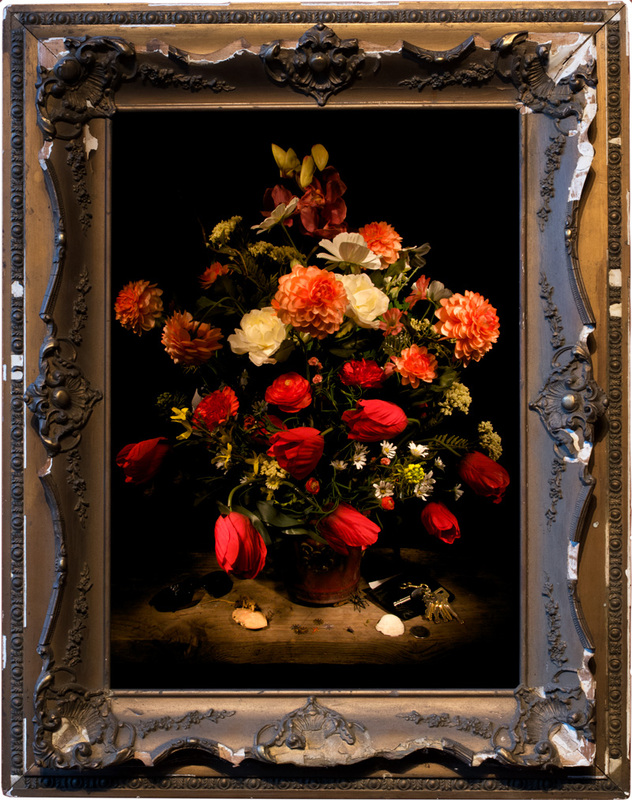 Still Life with Flowers and Keys, 30×24″ Framed print on canvas, $500. 8.5×11″ print $25. 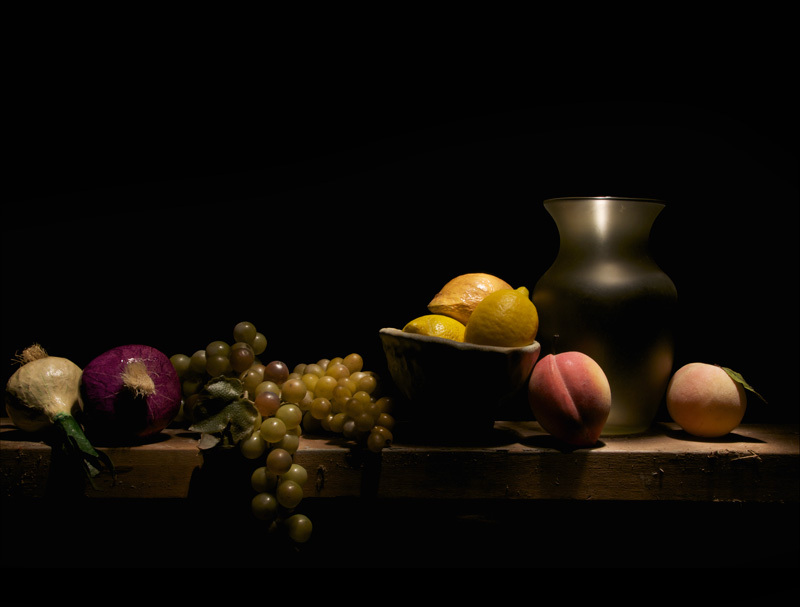 Still Life with Onions and Vase, 24×30″ Framed print on canvas, $500. 8.5×11″ print $25. 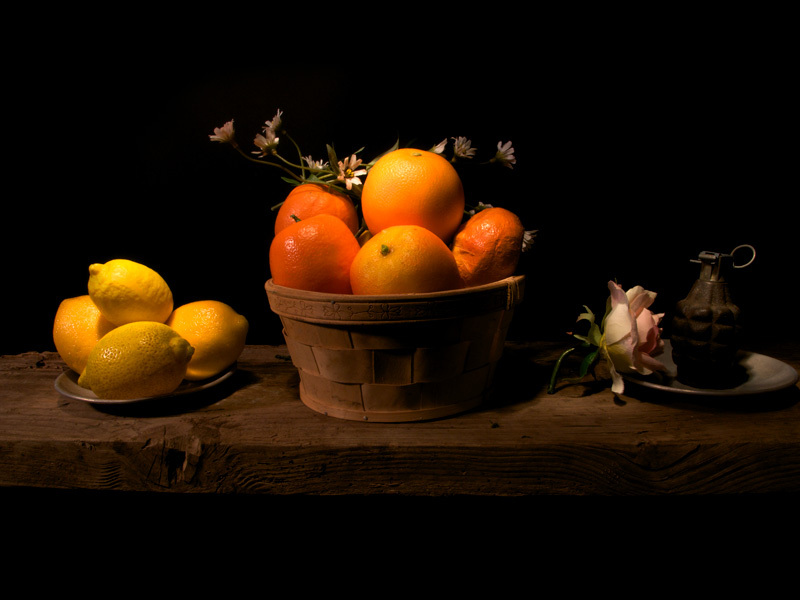 Still Life with Lemon, Oranges and Grenade, 40×50″ Framed print on canvas, $900. 8.5×11″ print $25.